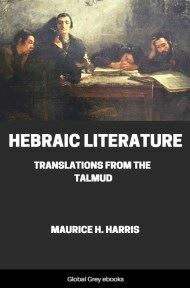 Hebraic Literature is a very readable collection of Jewish literature, including extracts from the Talmud, Midrash and Kabbalah, as well as a collection of sayings and proverbs, and information on fasts and festivals. 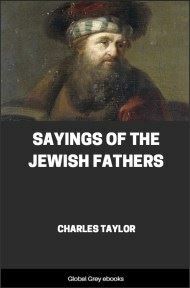 AMONG the absurd notions as to what the Talmud was, given credence in the Middle Ages, one was that it was a man! The mediæval priest or peasant was perhaps wiser than he knew. 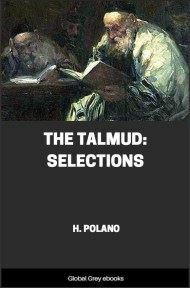 Almost, might we say, the Talmud was Man, for it is a record of the doings, the beliefs, the usages, the hopes, the sufferings, the patience, the humor, the mentality, and the morality of the Jewish people for half a millennium. What is the Talmud? There is more than one answer. Ostensibly it is the corpus juris of the Jews from about the first century before the Christian era to about the fourth after it. But we shall see as we proceed that the Talmud was much more than this. The very word "Law" in Hebrew--"Torah"--means more than its translation would imply. The Jew interpreted his whole religion in terms of law. It is his name, in fact, for the Bible's first five books--the Pentateuch. To explain what the Talmud is we must first explain the theory of its growth, more remarkable perhaps than the work itself. What was that theory? 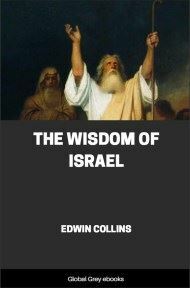 The Divine Law was revealed to Moses, not only through the Commands that were found written in the Bible, but also through all the later rules and regulations of post-exilic days. These additional laws it was presumed were handed down orally from Moses to Joshua, thence to the Prophets, and later still transmitted to the Scribes, and eventually to the Rabbis. The reason why the Rabbis ascribed to Moses the laws that they later evolved, was due to their intense reverence for Scripture, and their modest sense of their own authority and qualification. "If the men of old were giants then we are pigmies," said they. They felt and believed that all duty for the guidance of man was found in the Bible either directly or inferentially. Their motto was then, "Search the Scriptures," and they did search them with a literalness and a painstaking thoroughness never since repeated. Not a word, not a letter escaped them. Every redundancy of expression was freighted with meaning, every repetition was made to give birth to new truth. Some of the inferences were logical and natural, some artificial and far-fetched, but all ingenious. Sometimes the method was inductive and sometimes deductive. That is, occasionally a needed law was promulgated by the Jewish Sanhedrin, and then its authority sought in the Scripture, or the Scripture would be sought in the first instance to reveal new law. 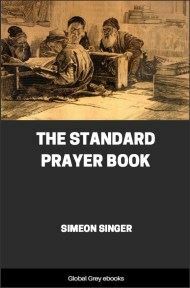 So while the Jewish code, religious and civil, continued to grow during the era of the Restoration of the second Temple, to meet the more complex conditions of later times, still the theory was maintained that all was evolved from original Scripture and always transmitted, either written or oral, from Moses from Mount Sinai. It was not, however, till the year 219 after the Christian era that a compiled summary of the so-called oral law was made--perhaps compiled from earlier summaries--by Rabbi Jehudah Hanassi (the Prince), and the added work was called the Mishnah or Second Law. Mark the date. We have passed the period of the fall of Judea's nationality. And it was these very academies in which the Jewish tradition--the Jewish Law was studied, that kept alive the Jewish people as a religious community after they had ceased to be a nation. This Mishnah, divided into six sedarim or chapters, and subdivided into thirty-six treatises, became now in the academies of Palestine, and later in Babylonia, the text of further legal elaboration, with the theory of deduction from Scripture still maintained. Although the life of denationalized Israel was much narrower and more circumscribed, with fewer outlets to their capacities, nevertheless the new laws deduced from the Mishnah code in the academies grew far larger than the original source, while the discussions which grew around each Halacha, as the final decision was termed, and which was usually transmitted with the decision, grew so voluminous that it became gradually impossible to retain the complex tradition in the memory--remarkable as the Oriental memory was and is. That fact, added to the growing persecutions from Israel's over-lords, and the consequent precarious fate of these precious traditions, made it necessary to write them down in spite of the prejudice against committing the oral law to writing at all. 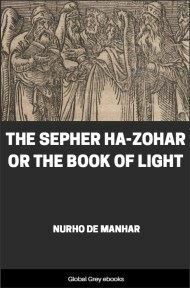 This work was undertaken by Rav Asche and his disciples, and was completed before the year 500. The Mishnah, together with the laws that later grew out of it, called also Gamara, or Commentary, from the Talmud. 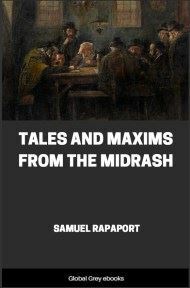 While the Palestinian school evolved a Gamara from the Mishnah which is called the "Palestinian Talmud," it was the tradition of the Babylonian academies, far vaster because they continued for so many more centuries, that is the Talmud per se, that great work of 2,947 folio leaves. Were we to continue the tradition further, we might show how often this vast legal compilation was the subject of further commentary, discussion and deduction by yet later scholars. But that takes us beyond our theme and is another story. In forming an estimate of these laws, we must first remember that they belonged to the days when religion and state were one. So we shall find priestly laws mixed up with police laws, sanitary regulations side by side with regulations of sanctity, the injunctions teaching political economy and morality almost in the same line. It should rather then be compared to codes of law than to religious scriptures, though often there the comparison would be incomplete, since the religious atmosphere pervaded even the most secular circumstance of the life of the Jew., There was no secular. The meanest function in life must be brought in relation to the great Divine. This must be understood in studying the Talmud, this must be understood in studying the Jew. As law, it compares favorably with the Roman code--its contemporary in part. In the treatment of a criminal it is almost quixotically humane. It abhors the shedding of blood, and no man can be put to death on circumstantial evidence. Many of its injunctions are intensely minute and hair-splitting to the extreme of casuistry. Yet these elements are familiar in the interpretation of law, not only in the olden time, but in some measure even to-day. There are instances where Talmudic law is tenderer than the Biblical; for example, the lex talionis is softened into an equivalent.